What are the alternatives to ISDN? There are two main options for a Medical Centre going forward; an in-house phone system connected with ‘SIP’ phone lines to directly replace your ISDN or a fully hosted Cloud phone system. You may have heard terms like IP, VoIP, SIP and Cloud before. In a nutshell, they all use a fast data connection (a type of Fibre Broadband) to make and take calls but there are a few differences. Over the next few years BT are phasing out, then switching off ISDN, a service most phone systems currently run on. But what is it, how will it affect your practice, and what can you do to future proof your Medical Centre? There’s no need to panic – stick with us and we’ll explain everything. ISDN is a type of legacy telephone line that more than 85% of Doctors Practices and GP Surgeries currently use to make and take phone calls. In the 1990’s it was widely adopted as an alternative to the traditional phone line (referred to as PSTN or Analogue line, the sort you might have at home) but is nearing the end of its life as BT is upgrading its network. 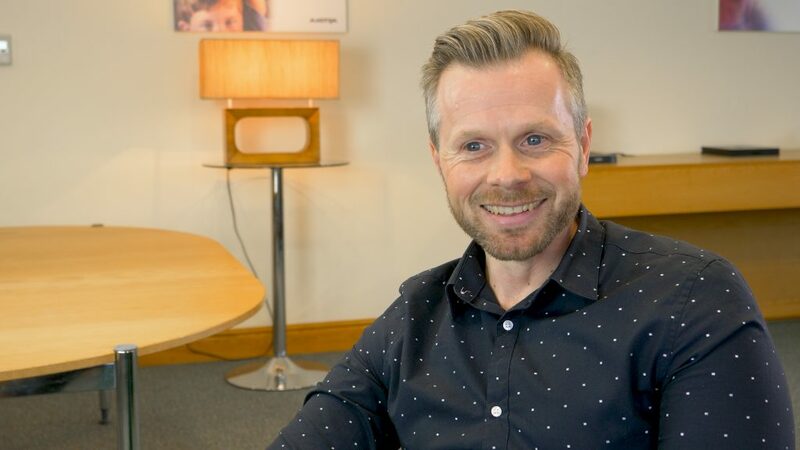 Well, there’s no panic yet as BT don’t plan to switch off the ISDN network until 2025, but they will start phasing it out in 2020, so now is the time to plan ahead. Having a good grasp of the changes ahead should help you to make an informed choice when buying your next phone system. The last thing you want is to be tied into a long-term lease for equipment that’s unusable. 1.) Massive cost savings – The systems are cheaper to maintain and your call costs will be much lower. In most cases your calls and lines will be bundled together so you just have one low cost monthly payment. Great for budgeting. 2.) Portability – you can connect multiple surgeries together or even add home workers for very little cost and at short notice. 3.) Disaster Recovery – There are multiple DR options available, including automatic fail-over, should anything go wrong. Additionally, in the event of damage to your premises, getting you back up and running again is almost immediate. 4.) Flexibility – If you want more phone lines during particular busy periods, this is possible with SIP Trunks. If your provider offers it, SIP trunk numbers can be manipulated to suit your needs. 5.) Advanced Software – IP Systems give you access to amazing new software, such as EMIS integration, advanced statistics and intelligent cloud queuing (this means that you could queue as many patients as you require without committing to more phone lines to handle them). VoIP Phone Systems – a VoIP phone system uses a special type of broadband line called a SIP Trunk to let you make and receive calls. You still have hardware onsite, but you get the added flexibility of multiple disaster recovery solutions, low cost (or even free) calls and even cloud queuing. This is a perfect solution for any sized surgery and can handle multiple branches with ease. Cloud Phone Systems – the cloud works in a similar way to a VoIP system, but all the hardware is housed offsite by a third party. Simplified, all you need onsite is a voice quality broadband circuit and phones. This is a great solution for a smaller surgery with less complex requirements, but cloud phone systems are often paid for on a ‘price per month, per handset’ basis, which often does not reduce your monthly costs. 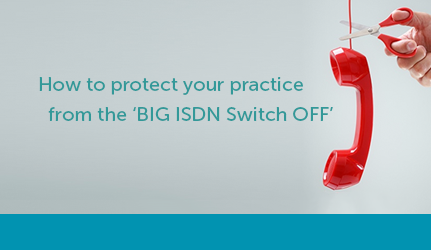 Although the ‘big ISDN switch off’ is still quite a way off, it’s time to get prepared. Even if ISDN wasn’t being phased out, it is worth making the move to VoIP anyway. An IP phone system can bring a whole host of positive changes to your practice that will help to protect your Doctors and staff, improve patient care and assist in your productivity. Find out when your current phone contracts are up. This includes your phone system lease/maintenance contract and phone lines. Knowing this, means that you’ll have the power to move without being tied to a contract for an old system. Remember that a lot of Telecoms companies have nasty ‘notice’ clauses in their contract, so if you are moving, give notice in plenty of time. Find out what system you have. You may find that your current system is IP compatible. If so, you might be able to enjoy the benefits of VoIP with a simple upgrade to your current kit. If you do need to change, look for a provider that specialises in the Medical sector. Most generic comms companies don’t understand the intricacies of what makes a doctors practice tick. You need a provider that understands how a surgery works, understands how your list size effects your operations and is able to help you adapt quickly when things change. You don’t have to use us, but we’re always available to give free, impartial advice on moving your medical centre from ISDN to SIP or the Cloud.